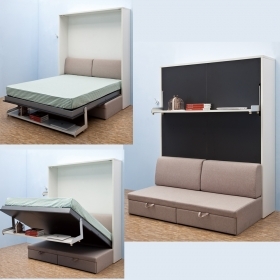 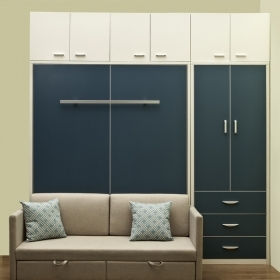 A space-saving wall bed for everyday use Comparing a wall bed to a futon or sofa bed as their advantages. 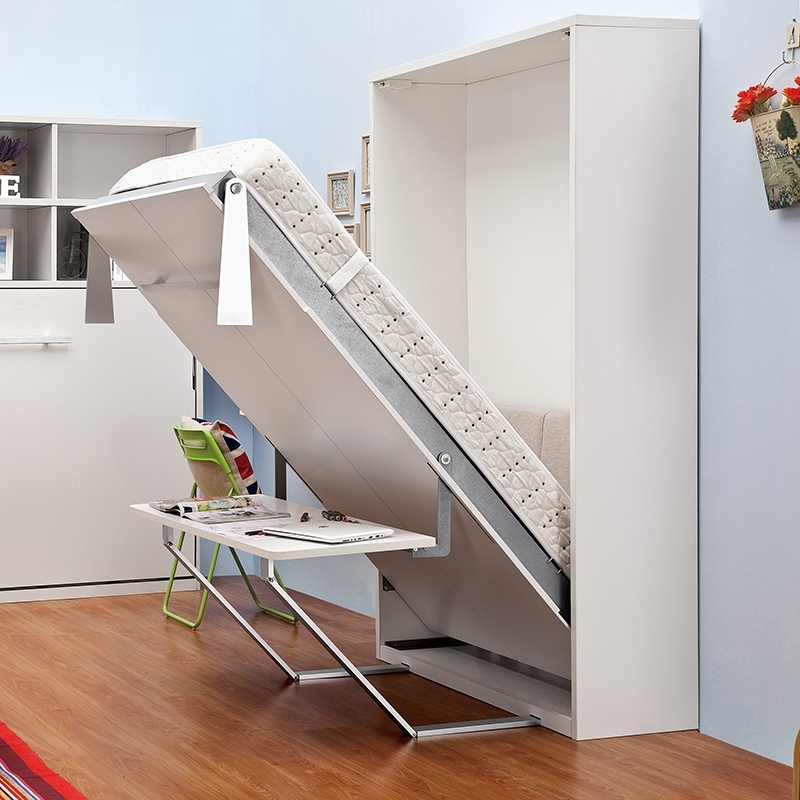 Solve your lack of space with a few unique options, one of them being a wall bed! 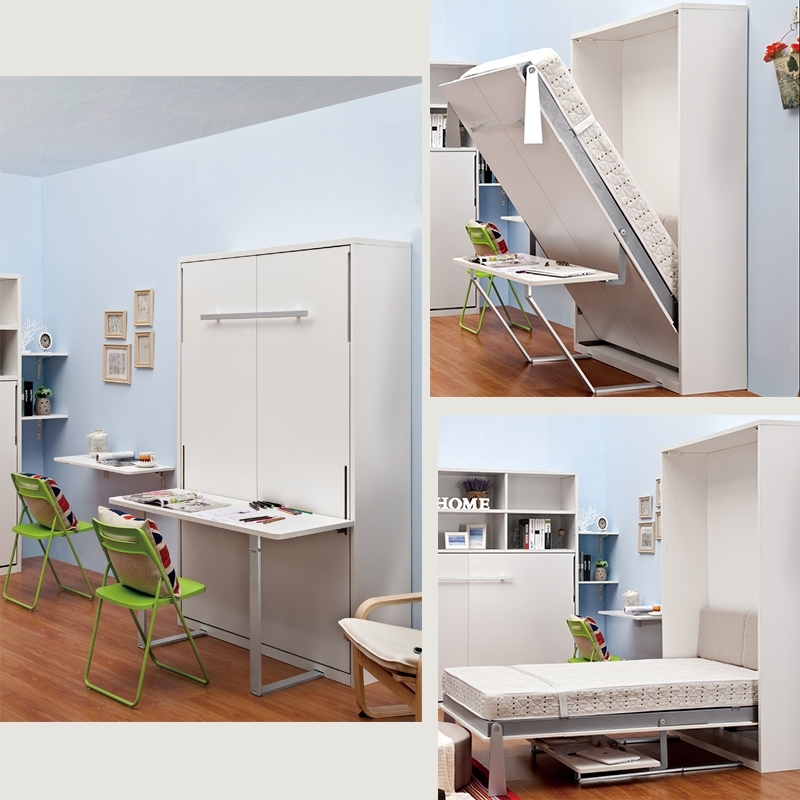 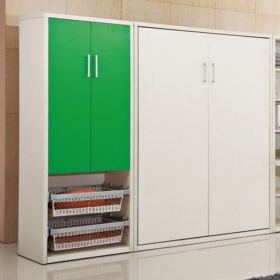 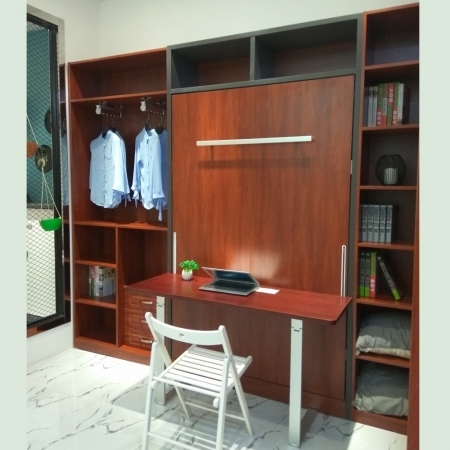 Lack of space is always a big problem, so you sometimes need to have a multi functional room in order to save space when your space is not large enough. 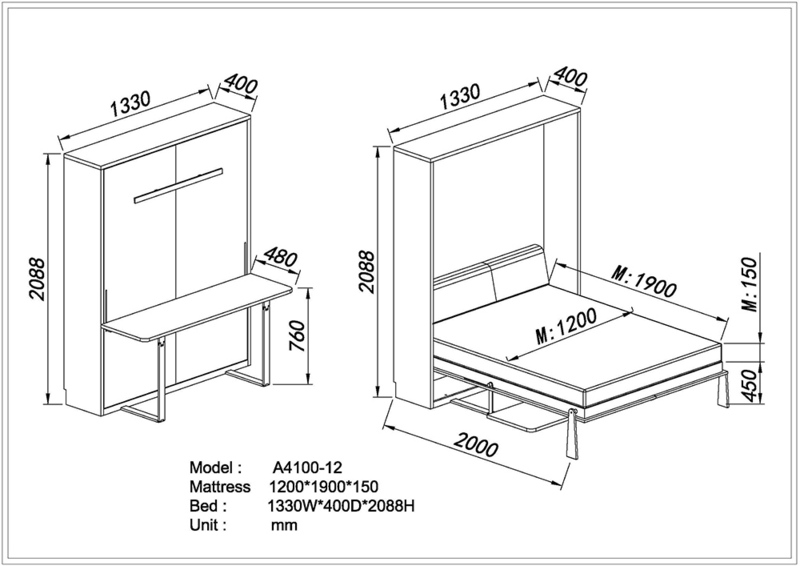 Features: Queen size bed with desk. Removable desk. 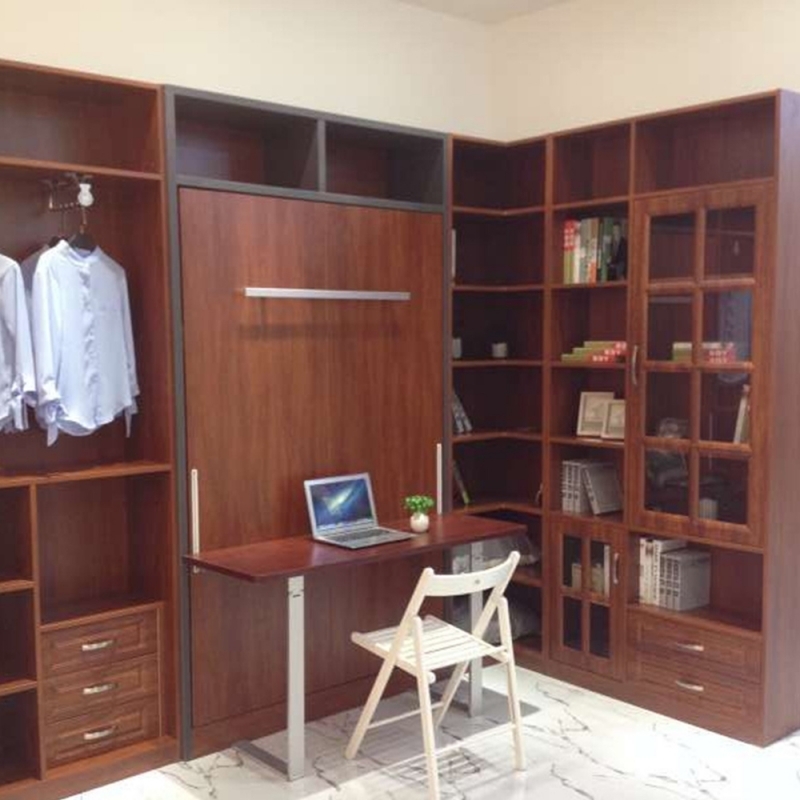 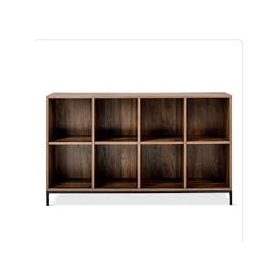 Optional wardrobe and bookcase. 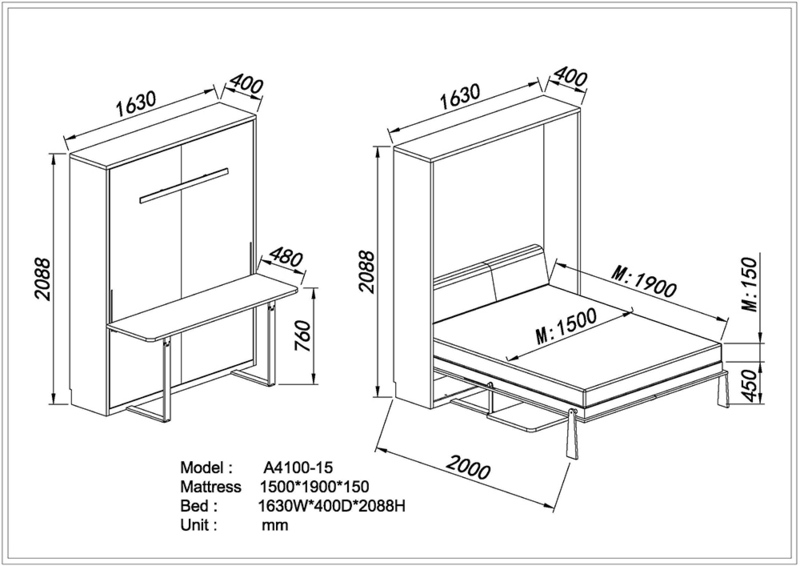 Please contact us for a quote as this will be influenced by where are you from; delivery and quantity. 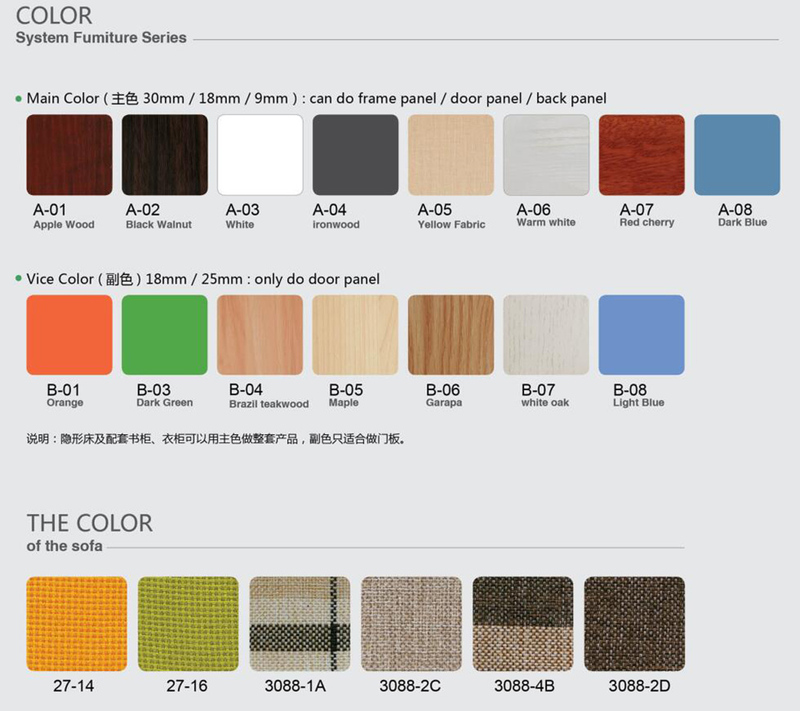 Premium and custom colors and fabrics incur additional cost.